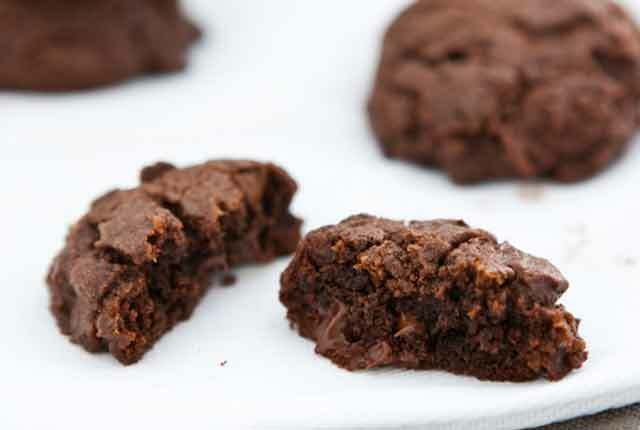 These fudgy cocoa bites are safe enough to serve the braces-wearers in your family, and yummy enough that the rest of the clan will be begging for more! In a large bowl, combine shortening, sugar, water, and vanilla, using an electric mixer and beating until smooth. Add eggs and mix until blended. Mix flour, cocoa, salt, and baking powder slowly into shortening mixture, using low then medium speed. Drop by tablespoons onto ungreased cookie sheets. Bake 9 minutes at 375 degrees. Makes about three dozen. Store in a covered container to keep the softness.